Mike has over 25 years of experience in the mortgage servicing business, with his background focused primarily in the operational management functions of default servicing divisions and law firms (foreclosure, bankruptcy, post-sale/claims, litigation, eviction, compliance). Mike joined the MWZM team in November 2017. Prior, he spent 12 years as a Vice President managing non-legal compliance functions and a variety of operational teams for a large Dallas law firm. Before joining the legal aspect of the mortgage business in 2006, Mike held various operational management positions with Lomas Mortgage in Dallas and later with Countrywide/Bank of America in Plano and Ft. Worth, TX. 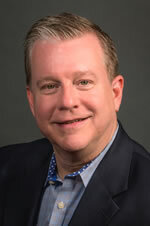 Mike is a Texas A&M graduate in 1989 with a BBA in Finance & Accounting. Mike manages the foreclosure, home equity/reverse mortgage, and client service operations for MWZM's mortgage servicing default legal services in Texas.